Choosing a general contractor is not an easy task – no matter how large or small your project is. We feel privileged to be invited into any home as part of the assessment process, and we’d love to give you a sense of who we are, and what we stand for. Quinn Holtslag’s motto is simple: Do it right, or don’t do it all. A Manitoba boy at heart, Quinn earned a PhD in Horticulture from the University of Manitoba and spent several years teaching in the Greenspace Management Department at Red River College. 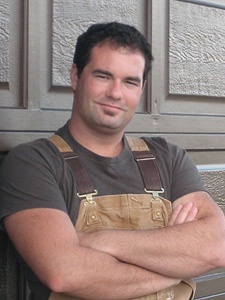 He followed another passion and shifted gears after he moved to B.C., co-founding Craftsmen Contracting with his wife, Bonnie. Committed to a job well done, Quinn has built a team of qualified professional tradespeople who share his values of honesty, trust and hard work. He also keeps a close eye on the real estate market for potential investment/renovation-resale opportunities for his clients. 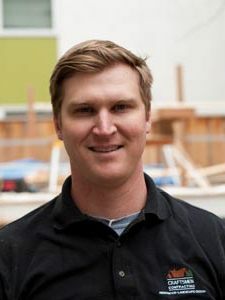 Aside from his impeccable project management and carpentry skills, Quinn’s kind nature and quiet personality are a great asset is this sometimes-stressful industry. Quinn is a father of two kids. He also owns an impressive number of classic overalls. Good design makes Bonnie Holtslag happy. Her true skill lies in knowing your natural attraction to a certain design style, even if you can’t quite put your finger on it yourself! She will discover elements that most resonate with you and transform those pieces into a complete picture: A beautiful, personalized space with classic, organic and textural design features. Bonnie holds a Certificate in Interior Design from BCIT and co-founded Craftsmen Contracting with her husband, Quinn. Now a mother of two, she is blissfully designing intimate, functional and fabulous residential spaces. A fun-loving “techie” with a knack for detail, Cindy de Beyer is the mastermind behind the scenes. 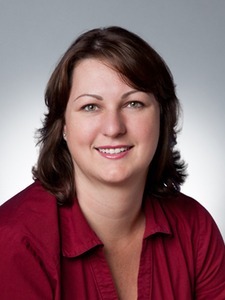 With more than 20 years experience in the service industry with companies large and small, she has a knack for keeping things stress-free for co-workers and clients, and masterfully applies mundane administrative marketing systems to the ever-changing landscape of technology. Aside from her incredible administrative skills, Cindy brings humour and joy to the office with her vibrant personality and can-do attitude. 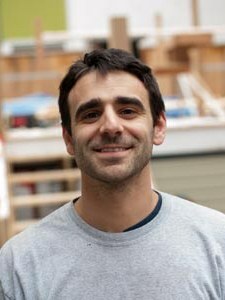 Danny Grosso joined the Craftsmen Contracting team in 2011 after working in landscaping (which he still loves to do, by the way). Now a hands-on project manager, Danny’s dedication to detail, his effective communication skills, and his ability to bring our client’s vision to life make him an invaluable part of the team. An avid outdoorsman, you might run into Danny and his son, Eli, at the local beaches and parks around the Lower Mainland. Karl Rickett met the Craftsmen crew while doing DIY renovations to his own house in 2014. Something clicked, and he joined the team as one of our skilled carpenters. Friendly and determined, Karl makes sure things are done to the highest standards and qualities on every project, big or small. He loves DIY projects, boating, travelling, and rebuilding cars. A veritable jack-of-all-trades, he has impressive work experience in everything from computer systems, alarms, and cameras to landscaping, sheet metal and siding. I recently had the pleasure of engaging Craftsmen Contracting to perform some intricate structural repair within our home. My experience with them is that they are tradesmen of the highest professional calibre. From initial inspection through project completion they demonstrated mastery of their trade, a meticulous work ethic, remarkable creative problem solving skills and rare unexpected artistry. They completed my job with the highest standard of excellence on time, on schedule and as quoted despite unforeseen complications. Most impressive was that they genuinely cared about my home as if it were their own while exhibiting an attitude of concern, respect, graciousness and integrity which made me feel as though they were not just contractors but trusted friends. In short Craftsmen Contracting exceeded my expectations in every way and are without question the crème de le crème of building contractors. I highly recommend them to anyone with a high value home who wants to ensure that repairs or renovations are completed to an exacting standard. Just a little note to say how very much we appreciate what you did for us. Thanks just isn't enough. We enjoy the new playroom and the laundry room so much. The flooring is ideal!! We wanted to express our thanks to Quinn, Bonnie and the Craftsmen Contracting team for the exceptional work in the renovation of our house. We had our entire kitchen and two bathrooms redesigned as well as having a mudroom and third bathroom built so it was a fairly extensive project done over several months. Bonnie, with her tireless energy and enthusiasm, was able to provide plenty of design ideas while incorporating all the things that we wanted in our renovations. She put in a lot of extra miles to source out as a many options as possible. Quinn and his crew were very professional and organized throughout the course of the renovation and we were always updated on the status of the project. We never felt stressed that things were not going according to plan and any concerns we had were addressed immediately. The renovations have been complete for more than a year now and we are happy to say that we have not any issues whatsoever which attests to the quality of workmanship and attention to detail when the work was being done. We would not hesitate to recommend Craftsmen Contracting to anyone looking to have a renovation project completed by an experienced, competent and friendly team. The team at Craftsmen Contracting have worked on our home (and our garage) doing three separate renovations. It started in the garage , where Quinn's careful and professional approach was immediately evident. Since then, they've renovated first one bathroom, then another, then the kitchen, and recently our front stairway. They have rewired, re-plumbed, constructed, tiled, and painted. We have referred them without hesitation to friends and family, who were also delighted with their work. Quinn and Bonnie are wonderful to work with. They strive for quality at every turn, while still respecting our need to keep costs reasonable. Bonnie has a wonderful eye for design and she is very patient in working with you to try to find just the right materials and still stay within budget (and she's fun to play with, which tells me she loves her work). They are always willing to provide advice and are very thoughtful and thorough in weighing options. To add to all of this, they are reliable and keep in touch regularly throughout each job. My only hesitation in writing this testimonial is that they will become so popular that they won't be available for whatever next job we find for them. I think it's hard to find such excellent workmanship and ethics (and competitive prices). Craftsmen Contracting Ltd has a team of experts in different areas. They are professionals, efficient, and provide quality work. My friend recommended them and I have been referring them since then.